In many scenarios, the user needs to move Outlook PST file data to another computer. In this post, you will find all possible reasons for transferring Outlook data file to another PC. Also, I am explaining how can you copy and move .pst file to another computer system. Read the complete article and follow the manual steps to move data easily. The steps are applicable to all versions of Outlook like 2016, 2013, 2010, 2007, 2003, 2000. As we know that Outlook is a mail client, which enables the user to share information in the form of emails, attachments, calendars, notes, to do list etc. So if you want to move from one PC to another computer then you need to copy all files and folder. But remember one thing that When you move Outlook PST file to new computer then it will not maintain the Meta Data such as view, auto archive setting, and permissions. It does not depend on which Outlook version using you are. The condition is same whether you want to move Outlook 2010 PST File to Another computer or any other version. Suppose that you are using desktop and now you want to move to the laptop. So in this situation, you need to move all your Outlook data from the desktop to laptop. Because the Outlook is windows based application except Outlook 2016. If you are using Outlook 2013, Outlook 2010, Outlook 2007, Outlook 2003 or Outlook 2000 then you need to move Outlook pst file. Let’s say that you are using Outlook 2010 on your system and now you want to move to Outlook 2013. 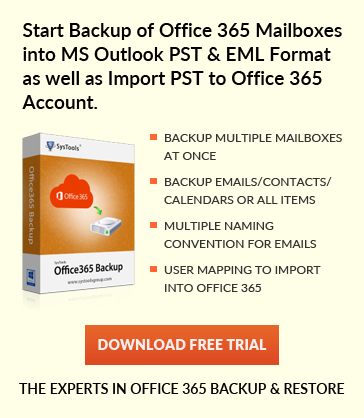 In this situation, you need to move pst file in outlook 2013. If you are using windows 7 OS on your computer system and you want to install windows 10 or 8. Then you need to copy Outlook data and then move to other system or storage media. Outlook is a window based application so it required to install on the particular system. Due to which is restricted to the accessibility of Its emails and other data from anywhere. To overcome from this limitation Outlook Web Access come. If you want to move from Outlook to OWA then you need to Move Outlook Data file. Buying the new computer and then think about how to migrate entire data from old PC to new one. Especially for Outlook data, because it is not as straightforward as migrating other data. So to make it easy for you to move Outlook PST file to new computer. I am going to list some steps that are applicable to all version of Outlook 2013, 2010, 2007, 2003 and 2000. The migration of Outlook data can be done only in three steps. First Get data from old computer, then copy data to the new computer and at the end access in new system Outlook. Let’s talk about each step in detail and move Outlook PST file to New Computer easily. Show Hidden Folders and Files: – The Outlook files are stored inside the hidden folder on your system hard drive. So first go to folder setting option and make Show Hidden File, Folder, and Drives. For this go to any Folder and right-click >> Properties >> Folder Option >> View Tab >> Show Hidden File, Folder and Drive. Unhide Extension: – From the same Advance Setting window Uncheck the Hide Extension for Known File Type check box. Because you need to view .pst file extension before copying Outlook Data. Go to Default Location of Outlook Data Folder: – Once all files, folders and extensions are visible then navigate to the default location of Outlook Data File. But remember one this the location of .pst file may be different in different versions of Outlook and Windows OS. You can find the .pst file at “%USERNAME%\Local Settings\Application Data\Microsoft\Outlook”. Note: – If you created some customized folders then there will be more than one .pst file. Close Microsoft Outlook: – Close Outlook before copying data from the Outlook folder. It also ensures that you are copying the most updated pst file data. Select .PST File or Files: – Now from the Outlook Data folder filter all files with .pst extension and copy them by pressing ctrl + c.
Install Microsoft Outlook: – First of all check whether Outlook is installed on new computer or not. If not, then Install any version of Outlook 2013, 2010, 2007 etc. Show All Hidden Files & Folders: – As done above for copying .pst file, repeat the step again the unhide all hidden files, folder, and drives. Go to Outlook Data Folder: – Navigate to the default location of Outlook folder on your new computer. You can find it here “%USERNAME%\Local Settings\Application Data\Microsoft\Outlook”. Note: – You can also paste copied .pst file in any folder but you need to remember the folder path and name. Close Microsoft Outlook Application: – Now close the Outlook before pasting copied .pst file or files. Simply paste all copied .pst files in the Outlook data folder in new computer. By following all steps, mentioned above you can easily copy Outlook pst data file from your old computer and then easily move Outlook Pst file to another computer. The steps are valid for all version of Outlook like 2016, 2013, 2010, 2007, 2003 and 2000.